Since 1989 GTNT has assisted thousands of Territorians to gain hands-on training, employment and long term careers, and is the largest employer of apprentices and trainees in the Northern Territory. 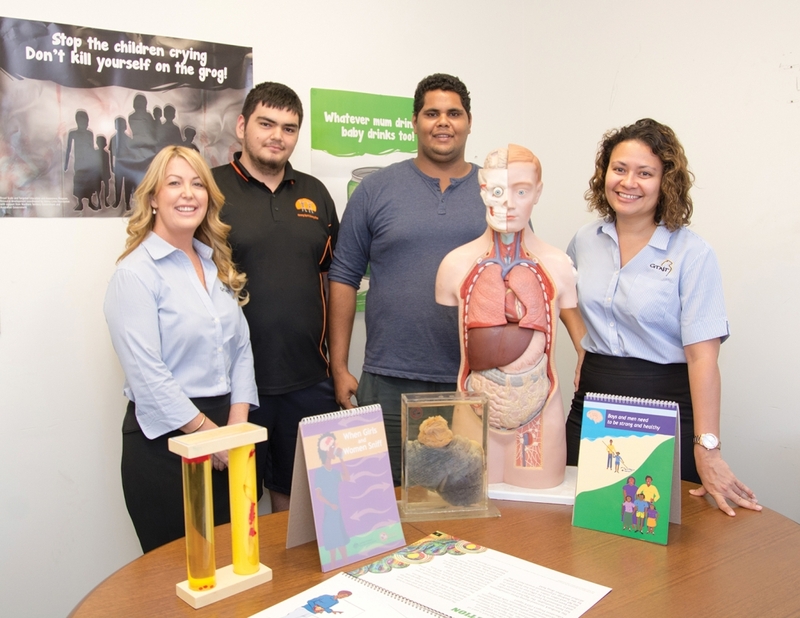 As part of the Group Training Australia network, GTNT operates as a not-for-profit organisation and currently employs more than 520 people in a diverse range of industries, placing them with host employers across the Top End. When screening and recruiting apprentices and trainees, GTNT ensure that they are well suited to the host employer. “We specialise in building business capacity, as well as really getting to know the applicants and where they can make a difference to have the greatest job satisfaction. Our recruitment process incorporates psychological and aptitude testing which helps ensure the right people are placed into the right job.” If for any reason an apprentice or trainee needs to change host employers, GTNT can transfer them to a new workplace without disrupting their training progress. And with the option of school-based apprenticeships in many fields, students can be working towards a qualification while they’re still in school. David Precoma and Jonathon McDonald are two of GTNT’s trainees, currently completing their Certificate ll and lll with the Department of Health, Alcohol and Other Drugs sector. Prior to commencing, David completed a Workplace Practices Course, and Jonathon GTNT’s Work Ready Program. During their traineeship, their day-to-day duties involve prevention education and offering resources and services to the local community. The young men agree that completing their traineeship through GTNT has provided them with a foot in the door, a chance to network and the relevant support. “The hands-on experience, coupled with the required book work, has given me the skills I need in the real world, in a caring environment”, says Jonathon. Upon completion of their traineeship, David aims to work with families and children, whilst Jonathon would like to be involved with youth justice and counselling. GTNT also take part in a range of advocacy initiatives, one being the GTNT Foundation, established in 2003. The GTNT Foundation sponsors diverse programs including School to Work, Teacher Release, Worldskills, Try-a-Trade and Voluntary Carbon Offset Program in Timor-Leste. GTNT also partners with countless businesses, community organisations and private industries to support training and employment opportunities, and local growth. Similarly, they assist indigenous communities throughout the Northern Territory, incorporating measures like high school retention programs, staffing outback retail stores, resource sharing and employing up to a 70 per cent indigenous workforce.